Vijay TV organises ‘Magalir Mattum’ on November 21 at PSG CAS, Avanashi Road, from 5.30 p.m. It is an open event for women; entry is free. 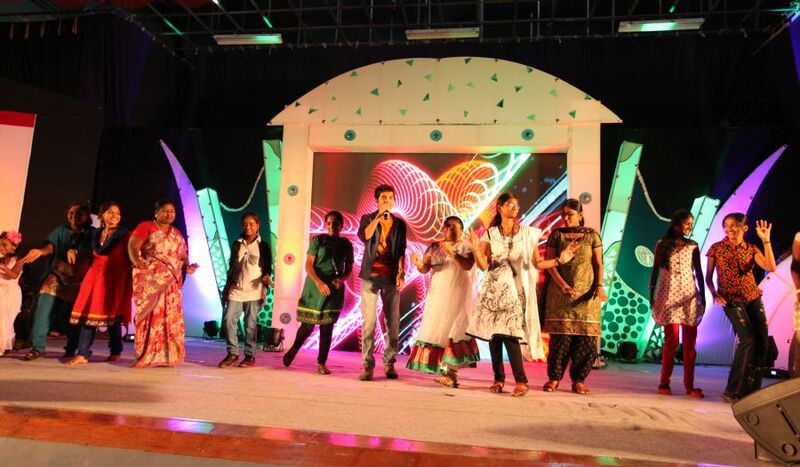 They can witness a two-hour-long musical show and will also get a ‘Vijay TV membership card’ during this event. This entitles them to passes for Vijay TV events and a free copy of ‘Magalir Mattum Snacks’ magazine. Actors Maheshwari, Venkat, Nandini, Kavin and Raju (from shows Deivam Thantha Veedu , Saravanan Meenakshi , Pudhu Kavithai and Andal Azhagar ), super singers Kaushik, Arvind Srinivas, Nithyashree, Srinisha, and Jodi dancers Rafique, Jaffer, Yuvraj and Suchi Bala will take part. Passes are being distributed at the venue from Wednesday at The Chennai Silks, Oppanakara Street and Cross Cut Road; Goodwill Commodities, Ashirwad Towers, DB Road, R.S. Puram; and Manna Health Mix, ‘Pazhamudhir Nilayam, Arts College Road, until the tickets are available. Viewers can also walk in for the show from 5 pm onwards to collect the passes for the free entry. Don’t miss to watch this fun filled entertainment show Magalir Mattum at Coimbatore.